As ESG performance has grown significantly in importance for companies and asset managers in recent years, it's time to look at the numbers. 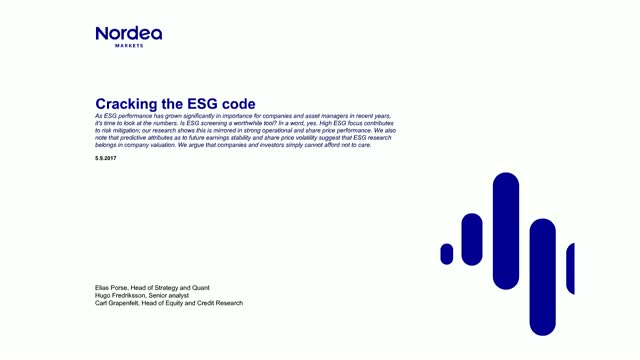 High ESG focus contributes to risk mitigation and in this session, we will share with you our research which shows that this is also mirrored in strong operational and share price performance. We will also share how predictive attributes (e.g future earnings stability and share price volatility) suggest that ESG research belongs in company valuation. This live session (with Q&A) will give you insight into why we believe that companies and investors simply cannot afford not to care.